MANILA (Reuters) - Philippines' President Rodrigo Duterte said Manila's relations with Beijing will not be jeopardised despite two former officials filing a complaint with the International Criminal Court over China's aggression in the disputed South China Sea. Since taking office in 2016, the Philippine leader re-oriented his foreign policy away from longtime ally the United States and toward China, despite decades of mistrust and bitter maritime disputes with Beijing. However, the country's former anti-graft chief and former foreign affairs minister is asking the ICC to conduct a preliminary examination on China's role in the South China Sea. The letter was dated March 13 - four days before the Philippines' unilateral withdrawal from the ICC was formalized. Duterte said: "They think they have a good case and I would say that there is no jurisdiction over this country and of China." Close ties will remain as China understands that anyone can file a case as the Philippines is a democratic country, he told reporters late on Thursday. 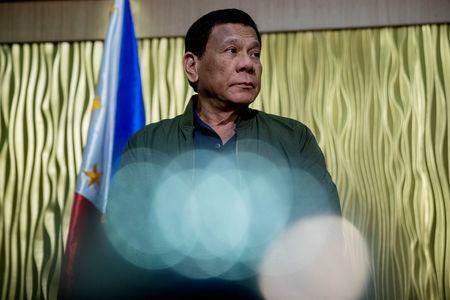 Duterte is facing criticism from opponents for making too many political concessions to China in return for billions of dollars of pledged Chinese loans and investment, most of which have yet to materialize. China says it has irrefutable sovereignty over the South China Sea islands and the waters around them. Under the ICC rules, any individual, group or state can communicate with the prosecutor on alleged crimes falling under the court's jurisdiction. The complaints can form the initial basis of the preliminary examinations.